Complete Systems Archives — E-Z Systems Inc.
E-Z Anesthesia offers more choices and increased flexibility for better solutions. 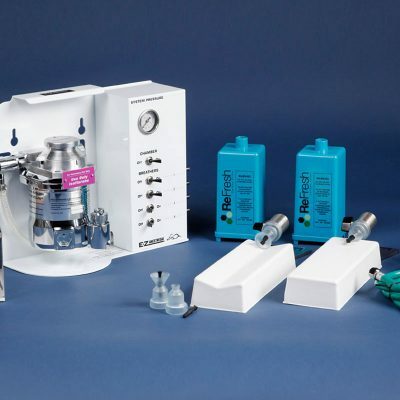 Our anesthesia systems are easy to set up and operate. 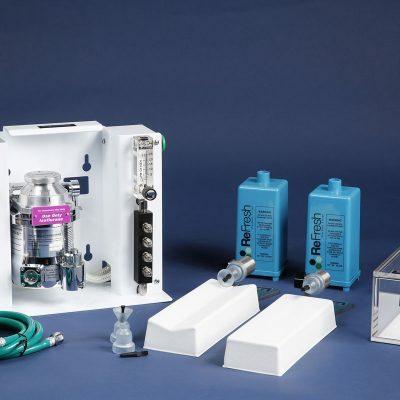 Auto Flow System features an automatic five output manifold that does not require flowmeters. 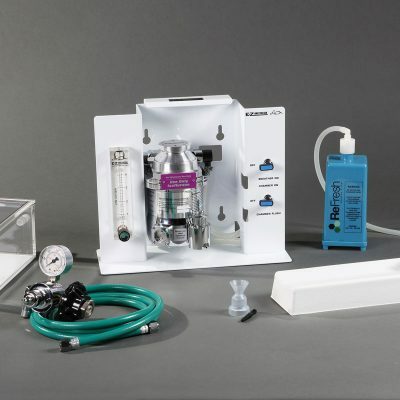 Classic System incorporates a manual five output manifold that includes a flowmeter configuration that improves upon the original E-Z Anesthesia design. Single Animal System offers an economical choice for single animal treatment. All systems come standard with the EZ-103A Microflex Breather and the EZ-178 Sure-Seal Mouse/Rat Induction Chamber. Systems include all necessary hardware components and connections required for anesthesia. The only additional elements required to operate the system are an oxygen source and liquid isoflurane. An array of alternative breathers and accessories allow you to customize a system to your specific requirements. Upgrade your system at the time of ordering and receive 15% off all upgrade components. Upgrade any basic system to include heat and/or additional breathers to save 15% on the accessories while avoiding future headaches. Our anesthesia experts have configured heat and multi-breather packages to seamlessly integrate with your anesthesia system for longer and/or more complex surgical needs. By purchasing the accessories with your initial system order, you save both time and money.